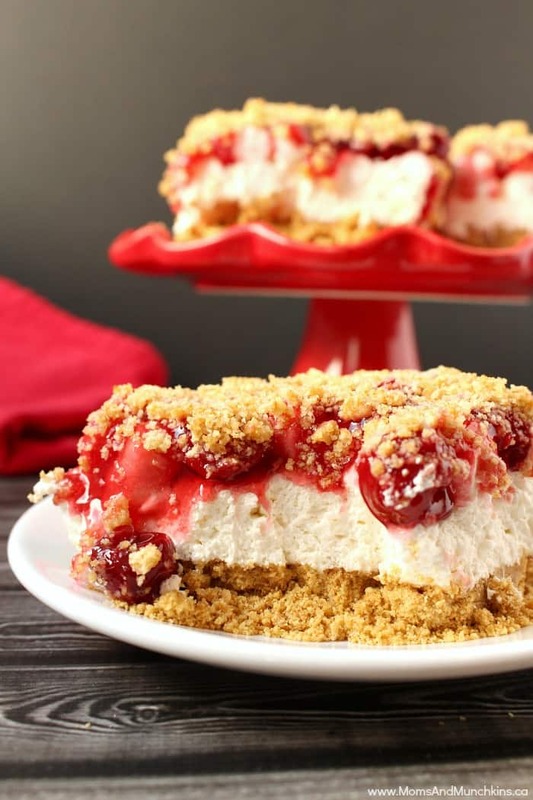 I was given this No-Cheese Cherry Cheesecake Bars recipe by my best friend (Hi Kristie) who received it from her sister-in-law. It’s a recipe that gets passed around a lot because it’s incredibly delicious! I was trying to think of a new name for it that didn’t include “no-cheese” or “cheesecake” since it’s not a cheesecake at all but no other name seemed fitting. 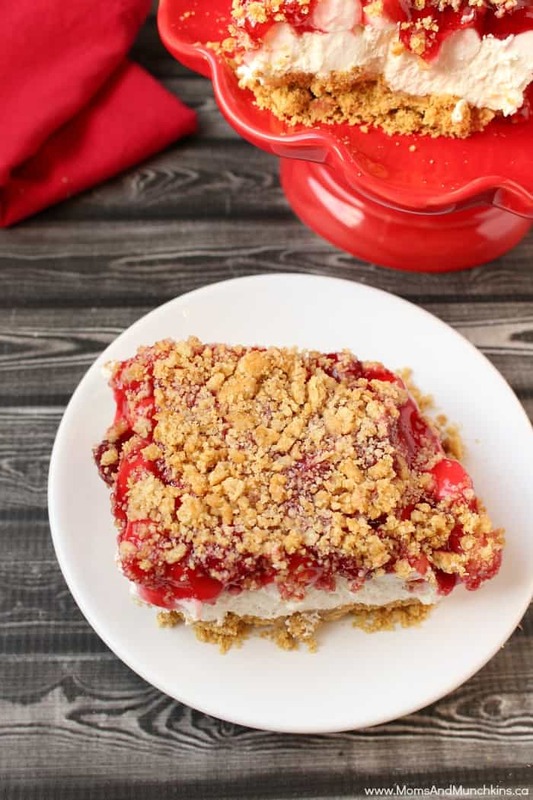 It tastes like cheesecake so No-Cheese Cherry Cheesecake Bars it is! It’s important that you let this No-Cheese Cherry Cheesecake Bars dessert cool in the fridge for at least 24 hours before serving. It needs that time to set properly or you’ll be scooping it out with a spoon instead of cutting it into squares. It also needs to be kept cool so it’s not a good recipe for a picnic. Make sure you serve it right when it comes out of the fridge and that the leftovers go back into the fridge quickly. This recipe needs to stay refrigerated until you are ready to serve it and the leftovers have to go back into the fridge immediately. Line a 9"x9" pan with parchment paper. Set this aside. Combine graham cracker crumbs, melted butter and 2 tablespoons of the sugar. Take ½ cup of this mixture and put it aside for the topping. Take the rest of this mixture and press it firmly into the 9"x9" pan. In a large bowl, beat the heavy cream, 2 tablespoons sugar and vanilla until soft peaks form. Spread this whipped cream evenly over the graham cracker base. Sprinkle mini marshmallows evenly over the whipped cream. Spread cherry pie filling over top of the mini marshmallows. 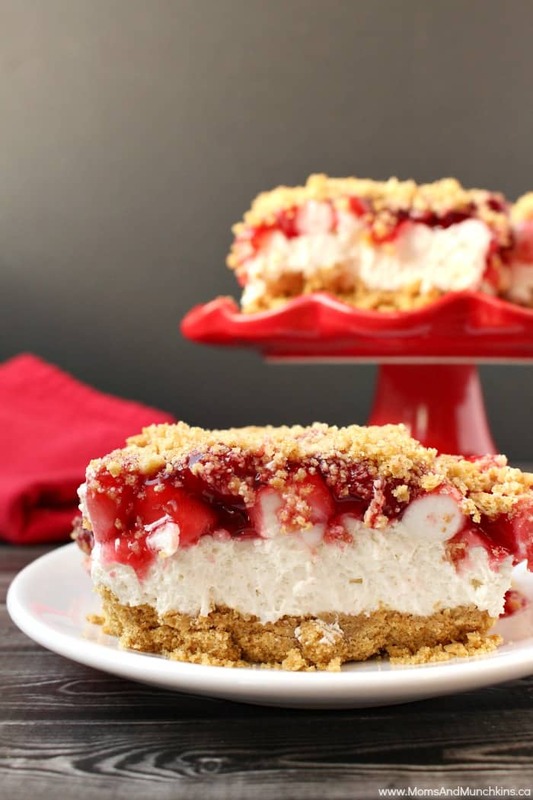 Sprinkle the remaining ½ cup of the graham cracker crumb mixture over the top of the dessert. Cover the dessert in plastic food wrap and place in refrigerator for 24 hours to chill and set. Lift out of pan and cut into squares. Serve immediately after removing from fridge and store leftovers in the fridge. 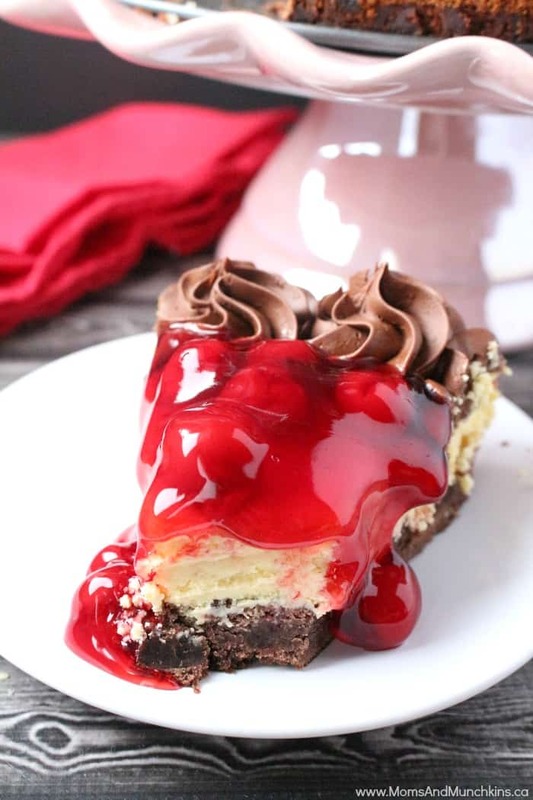 If you love cherry desserts, check out this Chocolate Cherry Cheesecake. 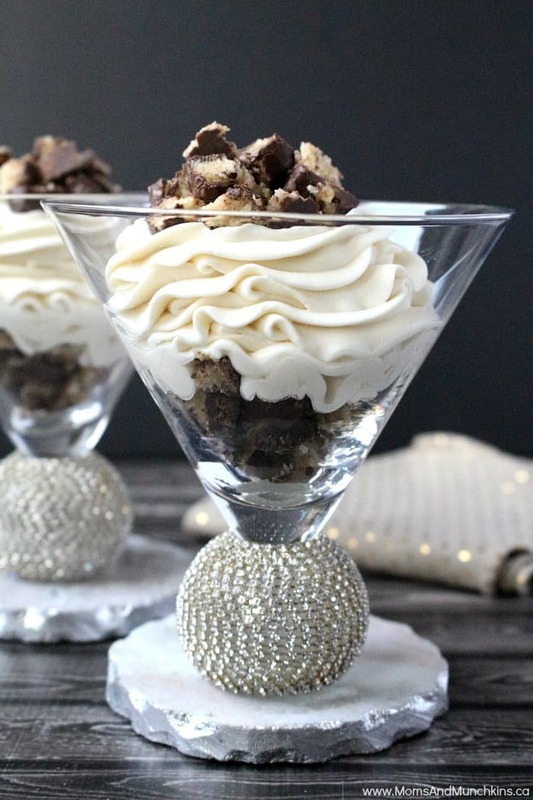 For a quick & delicious no-bake treat, try these No Bake Macaroon Cheesecake Parfaits. Visit our Recipes page for even more tasty ideas! We’re always adding new ideas for recipes, parties and family fun. Never miss an update by following us on Pinterest, Instagram, Facebook and Twitter.